The Rochester and Finger Lakes region is full of family friendly attractions, historic landmarks, public art installations, and natural beauty that are attracting a new kind of visitor—Pokémon! 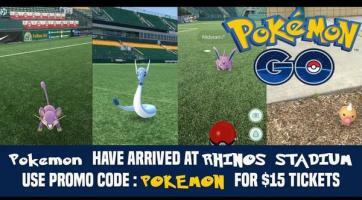 These adorable, virtual, and collectible creatures are being spotted all over the Rochester area by Pokémon GO gamers. 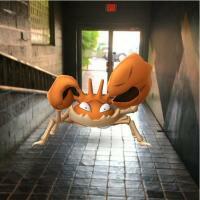 Here are a few of our favorite spots to find Pokéstops, gyms and to catch ‘em all. Image Above: PokémonGo gamers are everywhere including at Empire Digital Signs showcasing their favorite teams. The Strong Museum—Pokémon feel quite at home at this museum devoted to play and home to the World Video Game Hall of Fame. Pokémon hasn’t been inducted to the Hall of Fame yet…but we have a feeling they may get some nominations this year. 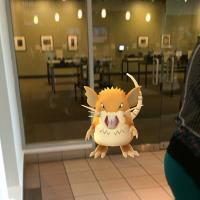 George Eastman Museum—Pokémon love to have their picture taken, so naturally they love the George Eastman Museum with its photography exhibits and beautiful gardens. Genesee Country Village & Museum—On July 29th the Genesee Country Village in Mumford will open its doors for a special after-hours Pokemon GO event. The living history museum and village features 2 gymnasiums and several stops! Admission is $5/person. Food, drinks and beer will be available for purchase and museum staff will be onsite to drop lures and to join in the fun. 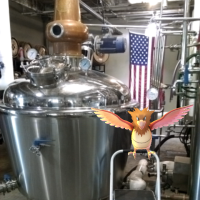 Black Button Distilling—Stop in for a tasting at Rochester’s first distillery and catch some Pokémon while you are there. Catch even more while visiting Rohrbach’s Brewery Tasting Room and the Rochester Public Market nearby. We’ll toast to that! Rochester Museum & Science Center—Of course these virtual creatures love the Rochester Museum & Science Center where visitors learn about science and innovation through hands on exhibits. Don&apos;t be surprised if you find a Pokémon on a glacier, or next to a giant mammoth. The Little Theatre—This historic theatre features independent films all year round, a café and live performances. Looks like Pokémon have a taste for popcorn. Memorial Art Gallery—The sculpture garden at the Memorial Art Gallery is a favorite among shutterbugs (not the name of a Pokémon) so it is an ideal spot to find photogenic creatures. Record Archive—Not only is this popular shopping destination the place to find music and gifts it is also a Pokéstop so pick up your pokéballs and maybe some gifts for you too. Hochstein School of Music & Dance—This historic location is now also a Pokéstop, but visitors can stop by for concerts all year round. Did you know the Hochstein School of Music & Dance hosts live music concerts every Thursday at noon at the historic High Falls—bet you can catch some Pokémon. Eastman School of Music—There is often music in the air on Gibbs Street in Rochester, NY thanks to the Eastman School of Music and the Eastman Theatre. Now you are likely to find Pokémon also enjoying the sights and the sounds of the East End entertainment district. 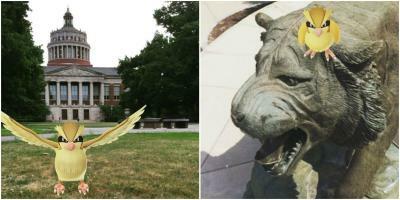 Colleges—Pokémon have been spotted at both the University of Rochester and the Rochester Institute of Technology campuses where there is a lot of space and many interesting spots for Pokémon to visit. Susan B. Anthony Museum & House—Pokémon love to learn about how Susan B. Anthony and many others championed for the rights of all Americans to be free, have the right to vote, gain equal access to education and more. 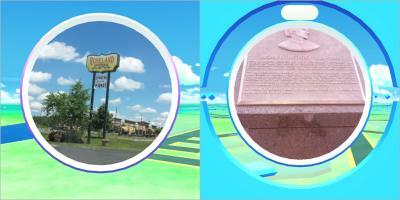 Roseland Waterpark—The front entrance to this Finger Lakes waterpark is a Pokéstop. Head inside the park to enjoy 56 acres of family-friendly aquatic adventures. Fun fit for the Squirtle in all of us.